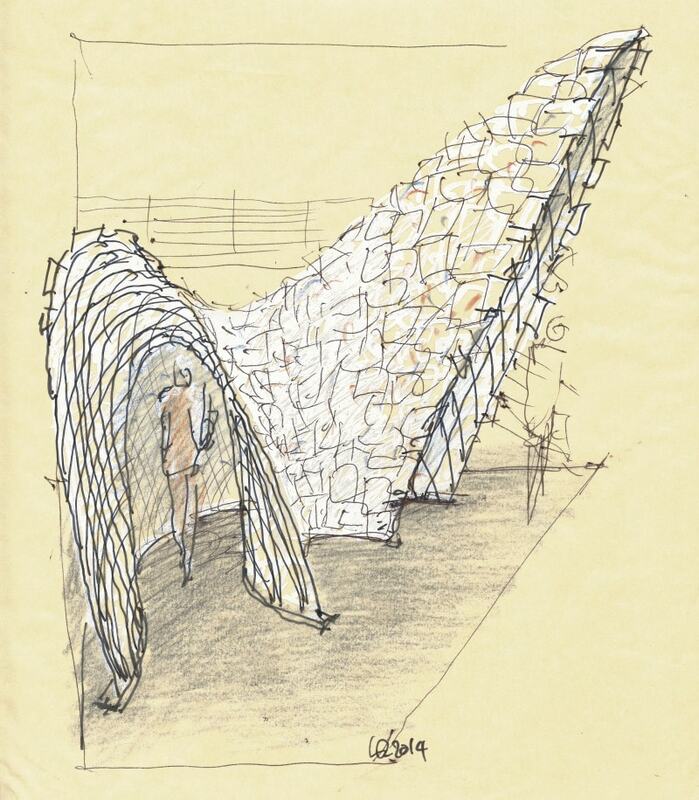 A Sydney gallery is hosting the installations of an ephemeral and minimal structure to display hundreds of yellow trace paper architect’s sketches drawn by Luigi Rosselli in the last thirty years. The structure was constructed in twenty-four hours with a trellis of fine 10mm x 3mm mild steel flats, wrapped in a stable hyperbolic paraboloid surface. 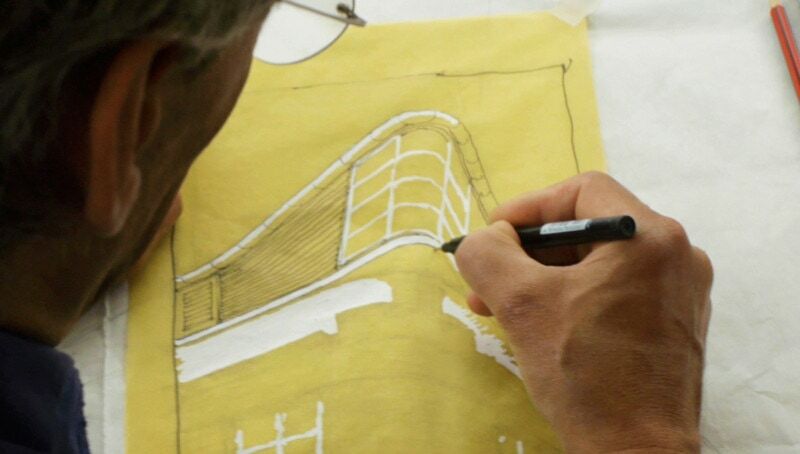 The trellis was then covered with the reproductions of Luigi Rosselli’s sketches of the many projects: houses, restaurants and civil architecture. The trellis will be recycled after the end of the exhibition as a garden pavilion. 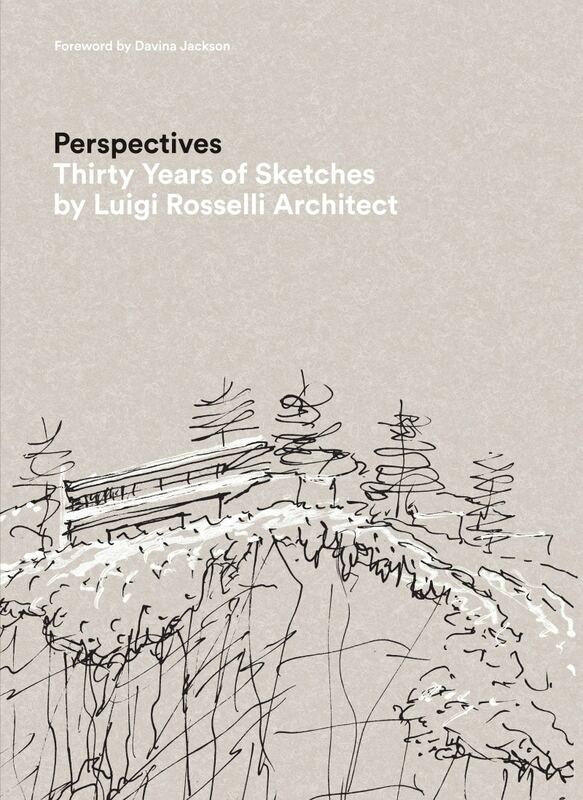 The exhibition coincided with the launch of the book: Perspectives Thirty Years of Sketches by Luigi Rosselli Architect.